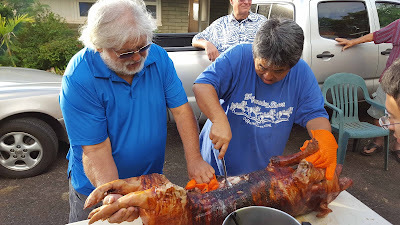 One of the early highlights of this trip to Hawaii was a family reunion of my Mom's extended family. I got to meet/reunite with members from all branches of the family tree. Some folks I barely remember from small kid time, others I'd never met. But there was lots of hugging, laughter, singing, and, of course, food. 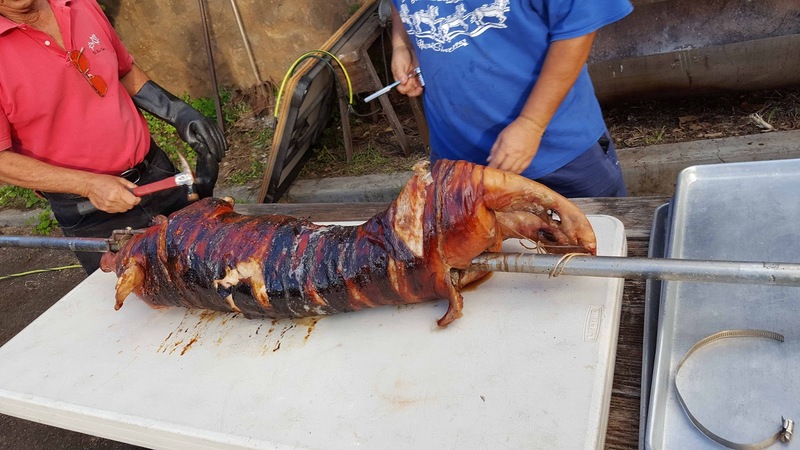 The centerpiece of this celebration was a whole pig roasted over an open fire. Anyone who knows me knows that a pig roast is right up my alley. 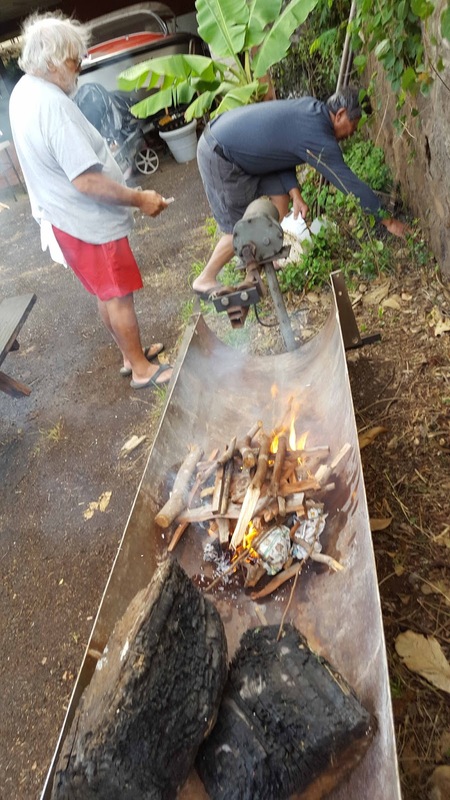 We went up to my great-uncle's house relatively early to watch, and as it turns out to help with, the preparations. 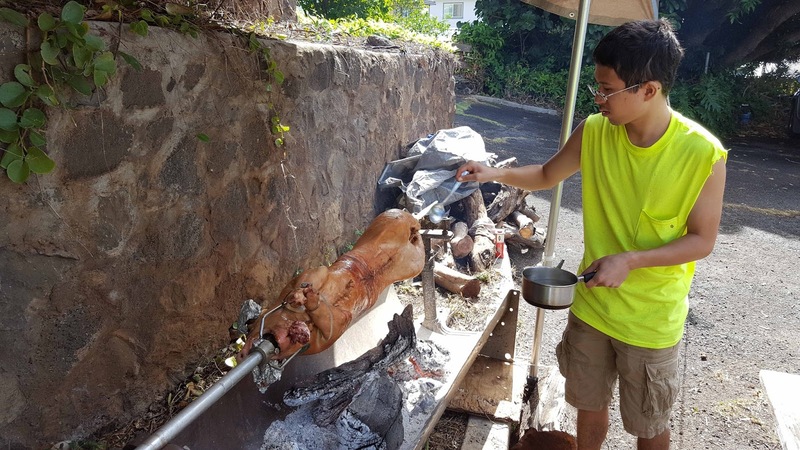 The property sits up on a hillside overlooking Honolulu. We started the day with a lot of rain and the promise of a good day to come. In spite of the rain by the time we got there the fire had already been started and the pig was coming up to temperature. 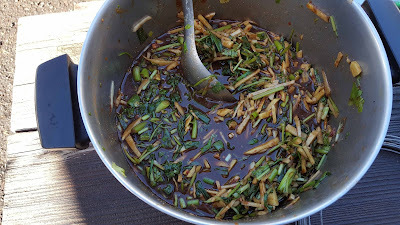 While we waited we helped to prep the stuffing - a mixture of ginger, green onions, Chinese parsley (cilantro), hoisin sauce, and a shot of whiskey for good measure. 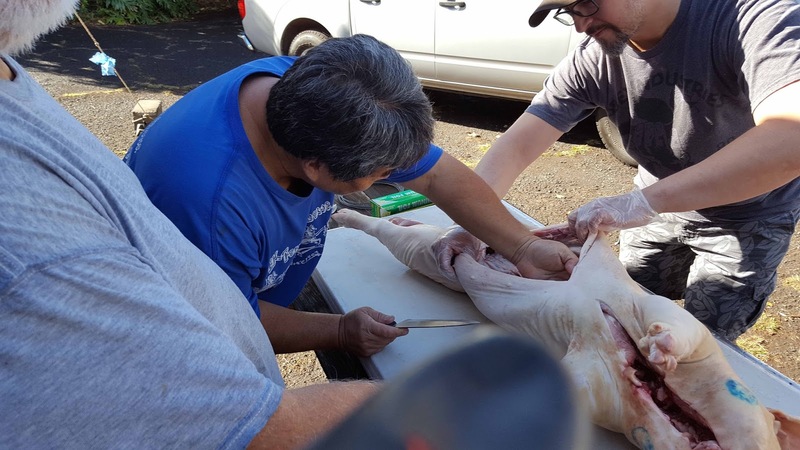 Then it was time to prep the pig - getting it on the spit, lining the cavity with Hawaiian rock salt, filling it with the stuffing, and then sewing up the cavity. Once ready it was a matter of waiting while the pig slowly roasted over the fire. 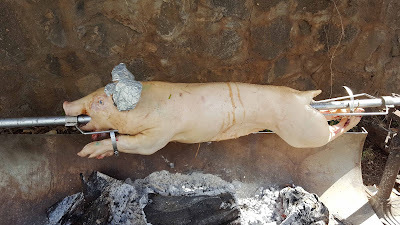 At this point we left it to my uncles to watch over the pig, showing up later for the feast. 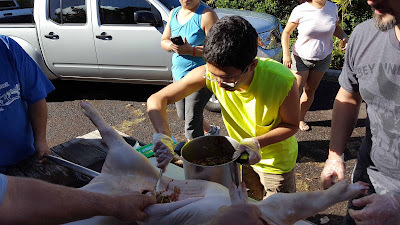 When we returned they were just finishing up carving the pig. And then it was time to EAT! There was way too much food but oh it was ono. Good food, family, fun - we couldn't have asked for anything more. Thanks to my Uncle Ron for the additional photos that made this story come alive. 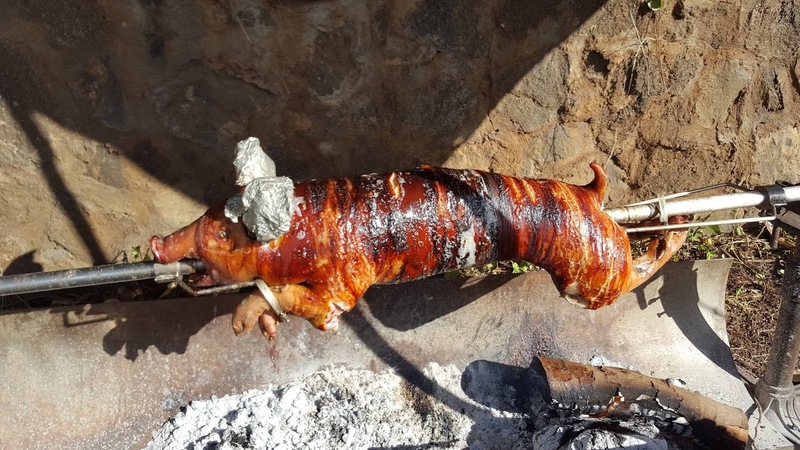 And for all his hard work as one of the primary chefs.